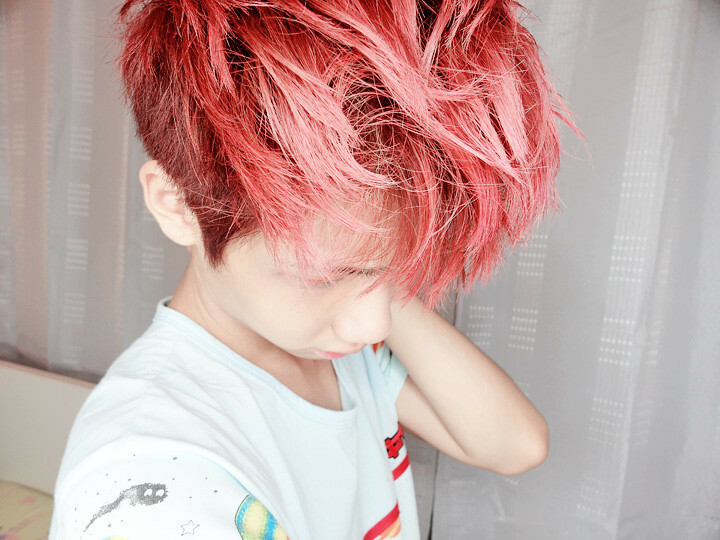 So the other time when I was still having my red hair, I went to tone down the hair colour by myself with henna powder hair dye because I was getting abit sick of the colour (didn't really like it, I don't know why you guys like it so much eh.... why ah?) plus it was fading into some ugly shades of red/pink!!! 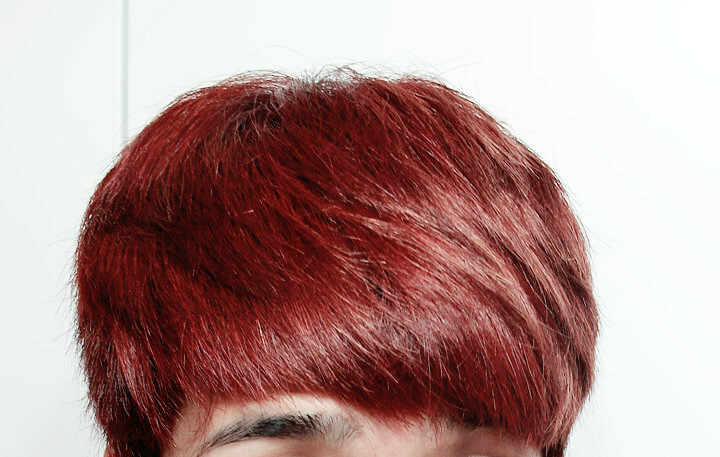 And I used the henna powder hair dye which I got to know it from my grandmother, cause last time when I was younger, I saw her using it and she was telling me that using henna hair dye is better cause there's no chemical involved and henna was supposingly made from plant as well, thus natural! It's also very cheap! 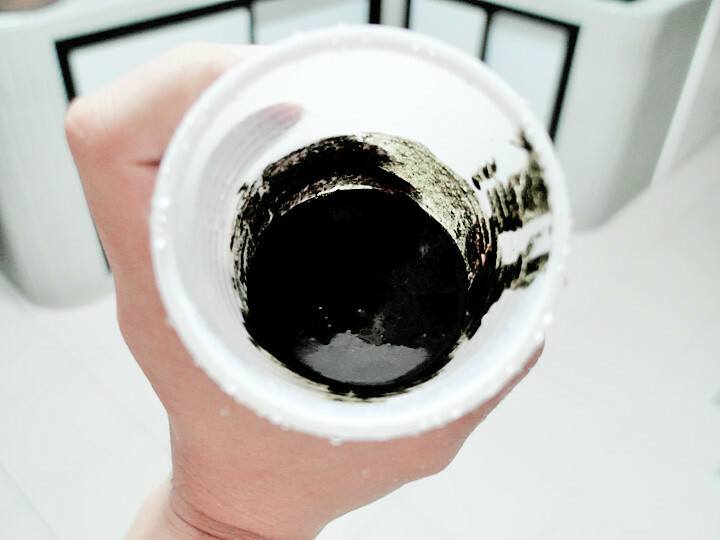 So the other day, I went to took some from her to tone down my hair colour since I just dyed my hair and I don't wanna hurt my hair and scalp from having a full dye job again (dyed my red hair for less than 2 weeks only), I thought this will be an awesome idea to tone down my hair colour to a darker shade! 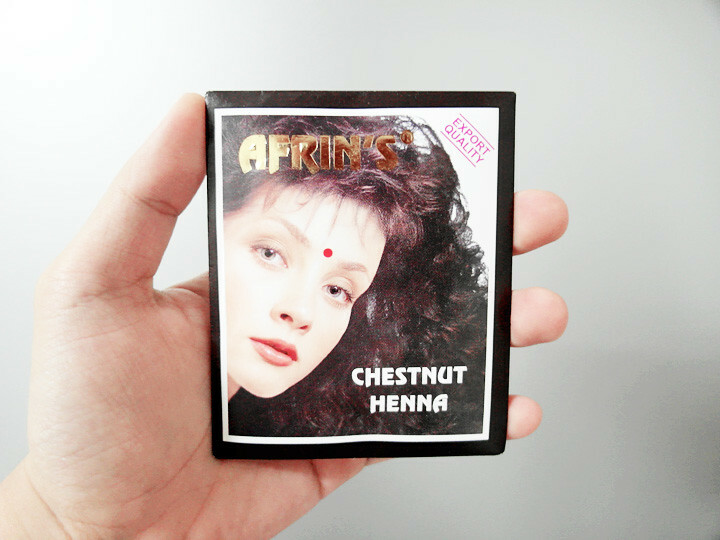 The henna powder hair dye that I'm using! It comes in several colours like; black, chestnut brown, mahogany, burgundy, yellow etc etc. And it's really very cheap, I saw it recently and it's selling at less than $5 for a box with 5 packets of henna powder hair dye inside! I can't remember exactly, but it's really super super cheap hahaha!!!! 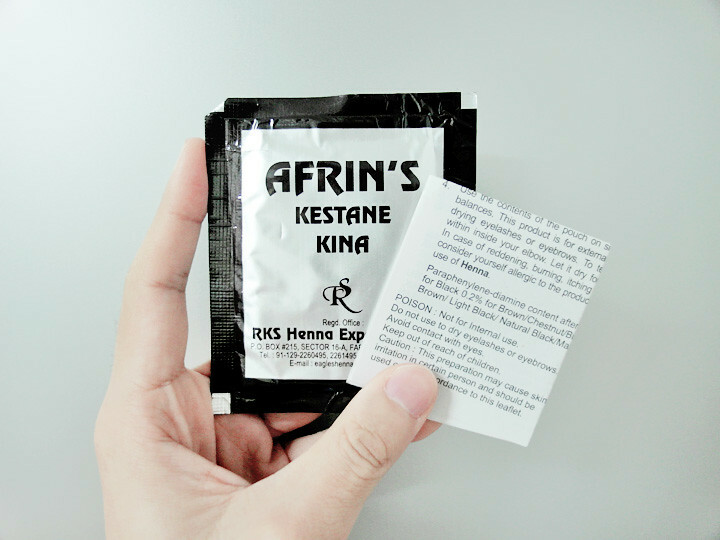 The brand is Afrin, if you guys wanna get it! Omg, I'm making this sound like an advertorial! Sorry ah, occupational hazard lolol! 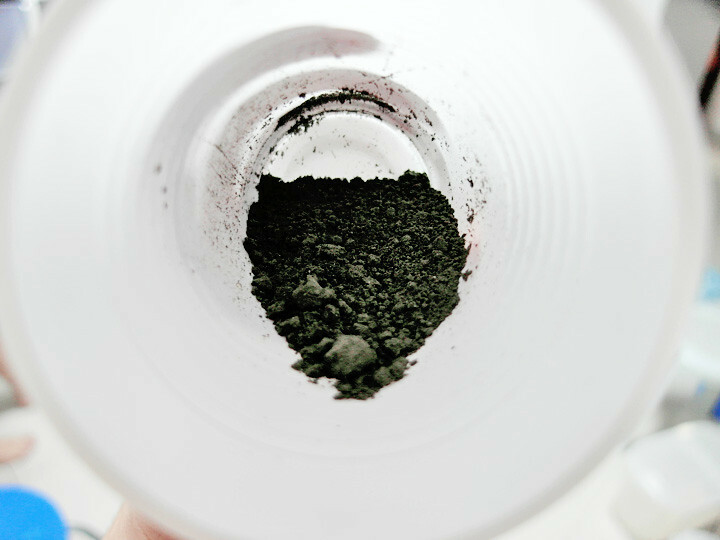 So when you pour it out, it's in powder form and then you mix it with water! Okay, after you're done with mixing it with water, you have to knead it well to break all the lumps before applying it on your hair! It's like making a paste or something hahahaha! And here's my hair colour before I dye it with the henna dye! 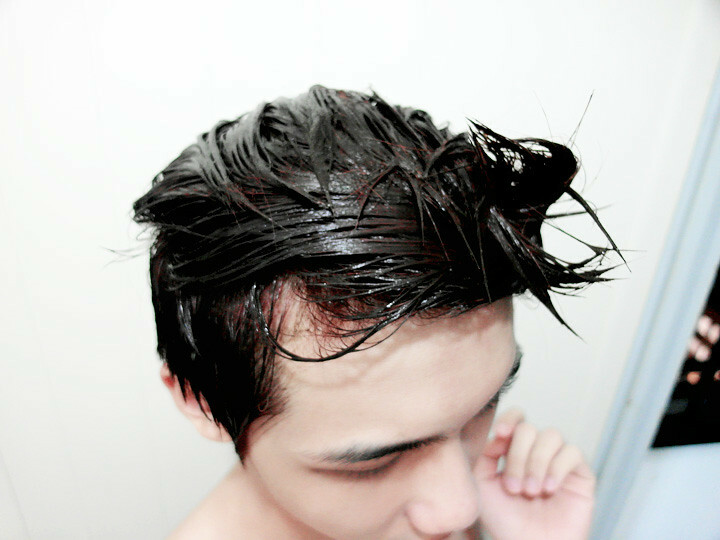 After applying on the henna hair dye on my whole head!! Close up!! You can see that there's it's slowly darkening it!! Usually you have to leave it until it dries up but because I don't want a colour that is too dark, so I just leave it on for less than 10 minutes only hahahaha!! I just don't want it to be so red what, so it's okay! Tadah! Really become darker shade and the colour is super even, not patchy or so! The difference!!!! Before and After!!!!! Not bad right, the effect! Turns out to be quite good!! 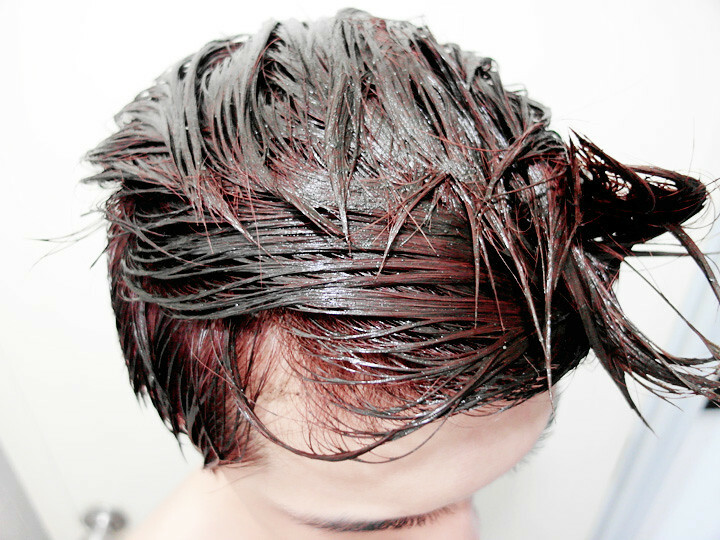 One of the downside is that, it will be pretty messy cause dyeing hair yourself will make a mess and sometimes it gets onto your face and body etc etc.